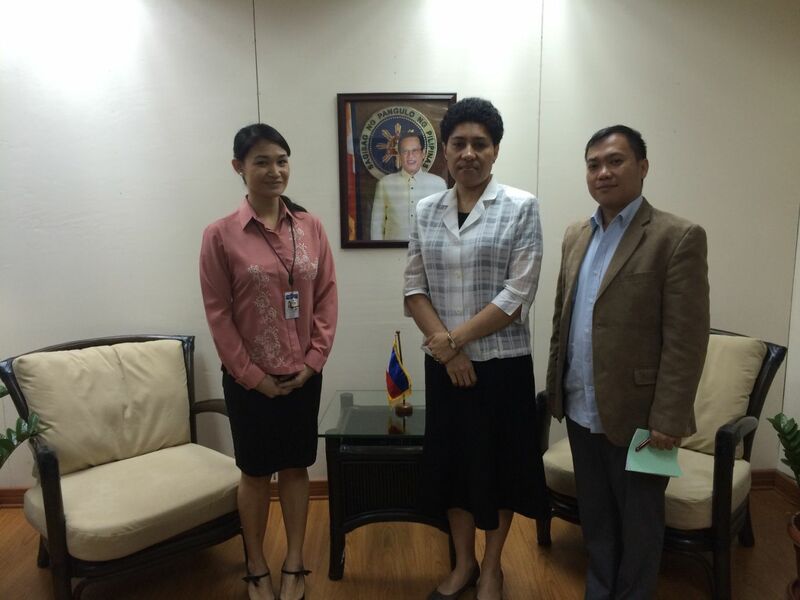 On Monday, 23rd February, Counsellor Korovou convened a meeting with Mr. Jason Anasarias the Assistant Director for Asian and Pacific Affairs of the Department of Foreign Affairs Philippine and Ms. Lyza Viejo to follow up on certain bilateral concerns that were discussed at their meeting of October 2013 in Manila with the object to deepen the two countries bilateral relation. 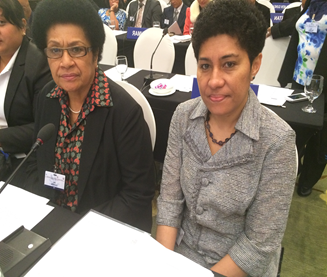 The focal issues of discussion encompassed the Fiji/Philippines DCA which is yet to be to ratified; the Fiji/Philippine Coconut Authority MOU; Fiji’s Minister for Foreign Affairs visit to Philippines; and establishment of a Joint Council Bilateral Cooperation (JCBC) or Senior Officials Meetings as the ideal mechanism for periodical follow-up to Ministerial meetings. A progressive update on the Fiji/Philippines Bilateral DCA was provided by both parties in which it was noted that the Fijian Government would soon complete its emendation of the DCA text including response to comments by the Philippine Government, for the latter’s consideration. Counsellor Korovou underscored the aspiration to have the DCA ratified by both the Ministers’ for Foreign Affairs during the Ministerial visit of Honourable Ratu Inoke Kubuabola to Manila tentatively in the 2nd or 3rd Quarter of 2015. Mr. Anasarias concurred with the signing timeline and also informed that the DCA text would be finalised in next to no time by their Government . Follow up on pending MOUs and initiated bilateral Agreements would be effected by both parties with progressive updates. On the Ministerial visit, Mr. Anasarias informed that the Philippine Government would await the advice of the Fiji Government via a Note Verbale to progress all needful. Also, both parties concurred with the proposition to incorporate as an agenda of the Ministerial dialogue the establishment of a Senior Officials or Joint Council Bilateral Cooperation as a follow-up mechanism to the Ministers’ meetings. 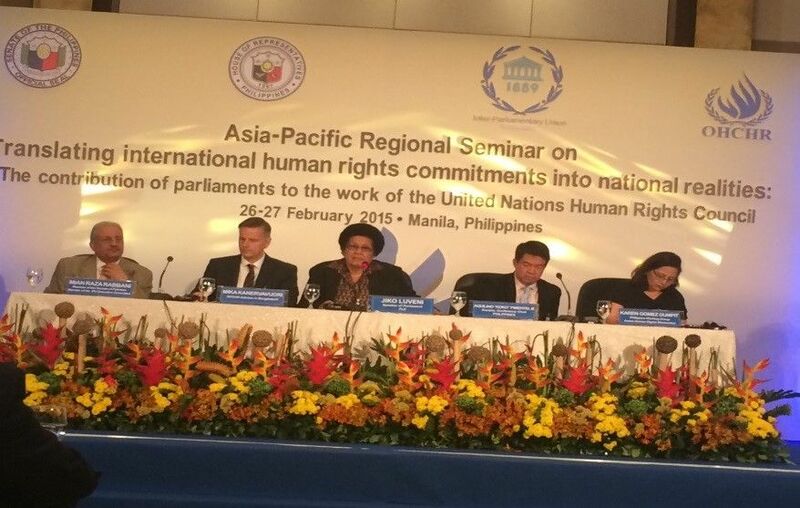 Progress on the trilateral cooperation arrangement of which the Philippine Government is pursuing as means to assist Pacific Island Countries in the frame of its Foreign Policy objectives and underpinning the South-South Cooperation was deliberated . Necessary external interventions inclusive of appropriate undertakings by each concerned nation state was noted as fundamental to propel the cooperation. Dialogue with relevant agencies in this regard was also mentioned to impel this regional initiative. In closure, both parties underlined the need to fast-track the timely completion of the DCA as well as the requirements to progress the scheduled Ministerial visit. 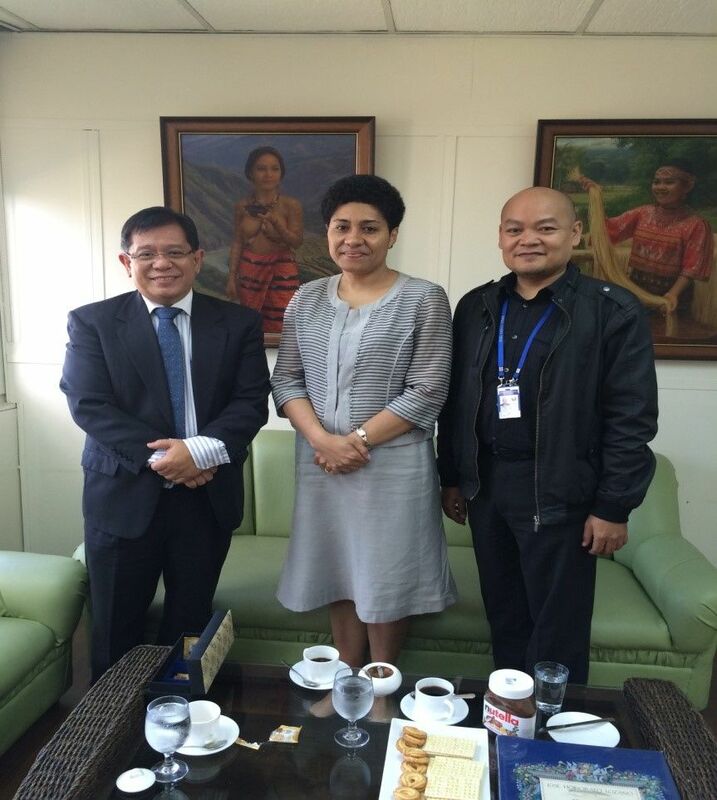 Counsellor Korovou met with the officials of the Bureau of Fisheries and Aquatic Resources (BFAR) on 23rd February 2015 at the BFAR Office, Manila with the object to establish strategic contacts and explore possible mutual cooperation. The meeting was attended to by Dr. Nelson A Lopez, Chief of Inland Fisheries and Aquaculture Division, Ms. Prescilla B Regaspi-Supervising Aquaculturist, Ms.Irma F Ortiz-Seaweed-culturist, Mr. Roy Ortega, Brackishwater Aquaculturist, and Mr. Balar- Aquaculturist. 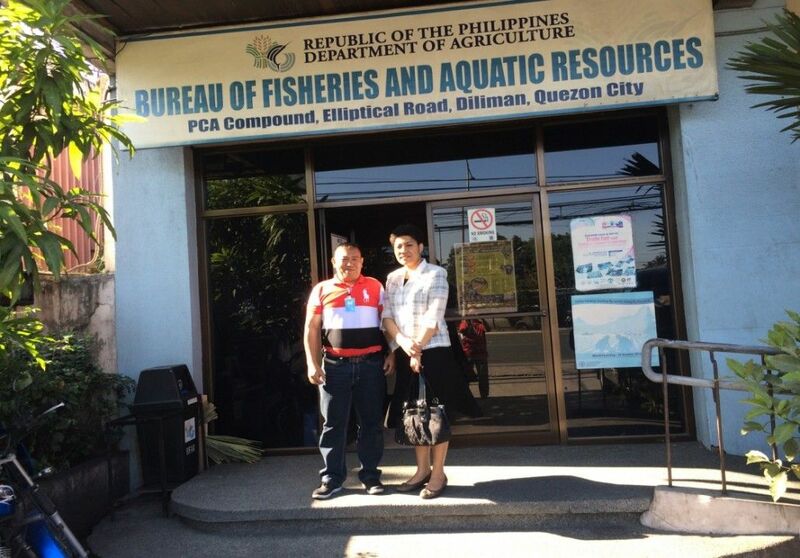 At the outset, Counsellor Korovou expressed her gratitude to Dr. Lopez and his staff for availing time from their busy schedule to meet with her and stated the purpose of her meeting thus was to establish contacts with the Bureau and to explore meaningful cooperation between Fiji and Philippine in the spectrum of aquaculture. 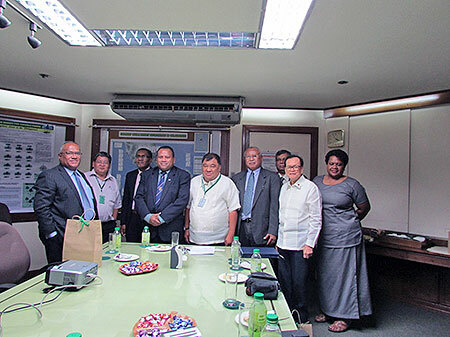 The meeting, therefore, served as a preparatory process and space for initial findings for the planned visit of Fiji’s Minister for Fisheries and Forests to Philippine in the 2nd Quarter of 2015. In his prologue, Dr. Lopez introduced the major spheres of their aquatic resources which incorporate freshwater fishpond (milkfish and tilapia); brackishwater fishpond; fish pen and fish cage in fresh and marine waters, and mariculture of oyster, mussel and seaweeds. Notably, in 2012, the Aquaculture fisheries sub-sector contributed the highest value of about P92.3 billion or 38.8% of total fishing industry production compared with the commercial and municipal sub-sectors contribution of P65.89 billion (27.7%) and P79.5 billion respectively. 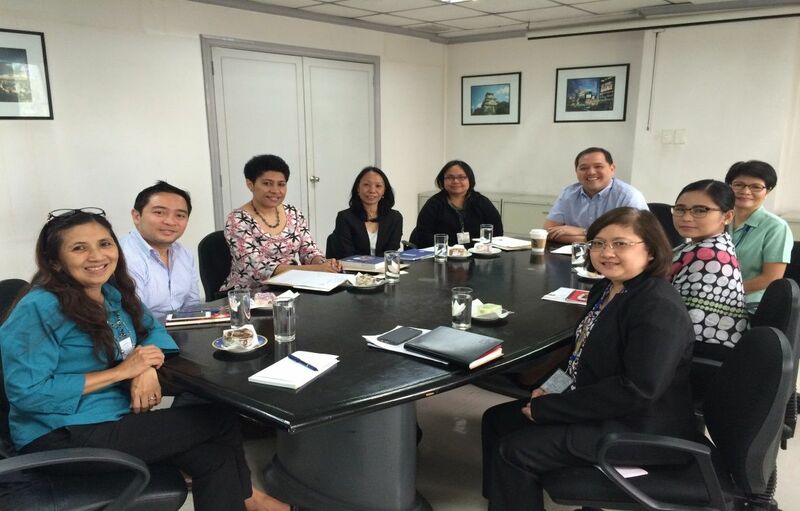 Practical experiences of fisheries projects in terms of gender basis approach in the Philippine were keenly noted. The range of fish farming practices in inland and coastal areas as well as marine were described including their various national aquaculture programmes. Appropriate legal instruments were mentioned as vital for the success of aqua-agri industry and its economics as in the case of Philippine. The presence of academic marine institutions in the Philippine was also highlighted, underscoring marine science and ecosystem as prominent courses currently embraced in Europe and Asia. Capacity building programmes for their youth population was also discussed. In that vein, Counsellor Korovou alluded to the prospect of exploring practical exchange studies and technical cooperation between the two countries. As such it was informed that Aquaculture is being considered as one of the significant sectors to growing a sustainable Fijian economy, apparently by way of establishing self-help projects and employment and long-term food security in view of Climate Change. Hence, Fiji desires to learn more on aquaculture economics from the Philippines through relevant mutual cooperation and technical exchanges with relevant agro-research and development laboratories and institutions. Dr. Lopez assured that his Office would be prepared to render assistance to FET in future and thus encouraged follow on exchanges underpinning the objective and outcomes of the said meeting. The Bureau looks forward to receiving Fiji’s Minister for Fisheries and Forests during his course of visit to the Philippine. In closure, Counsellor Korovou expressed gratitude to Dr. Lopez and his staff for the dialogue and insightful exchanges that transpired. 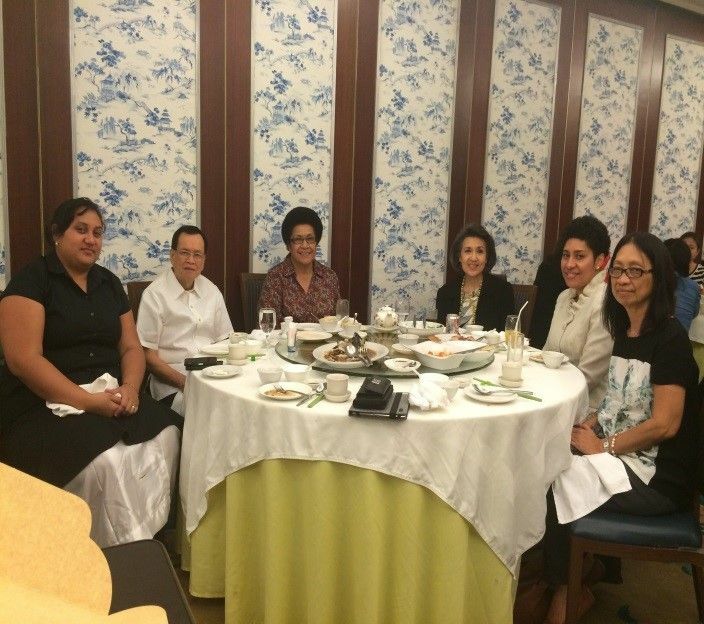 As the designated diplomat for the Fiji-Philippines relations at the Fiji Embassy in Tokyo, Counsellor Julia Korovou visited the Philippines from 20th to 24th October 2014 to undertake a series of meetings and interactions with government stakeholders and business community with the view to establish contacts and to strengthen diplomatic and economic relations, consistent with the Government’s Look North Policy and its Foreign Policy objectives. 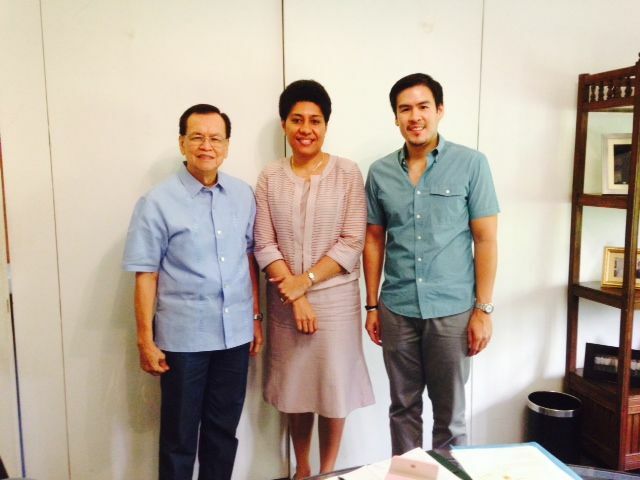 HC Pineda Jr., Counsellor Korovou, Mr. Juan Pineda. The programme commenced with an audience with Fiji’s Honorary Consul in Philippines, Mr. Jesus M. Pineda and his Executive Vice President, Mr. Juan Carlos Pineda, on Tuesday 21st October. At the outset Counsellor Korovou expressed her gratitude for the generous assistance and cooperation rendered by the Honorary Consul in organising the requested meetings and for the logistic arrangements, followed by an update on Fiji’s successful general election. The meeting deliberated on the cooperation prospects between the two countries and bilateral issues currently in progress which require due follow-ups and follow-through. 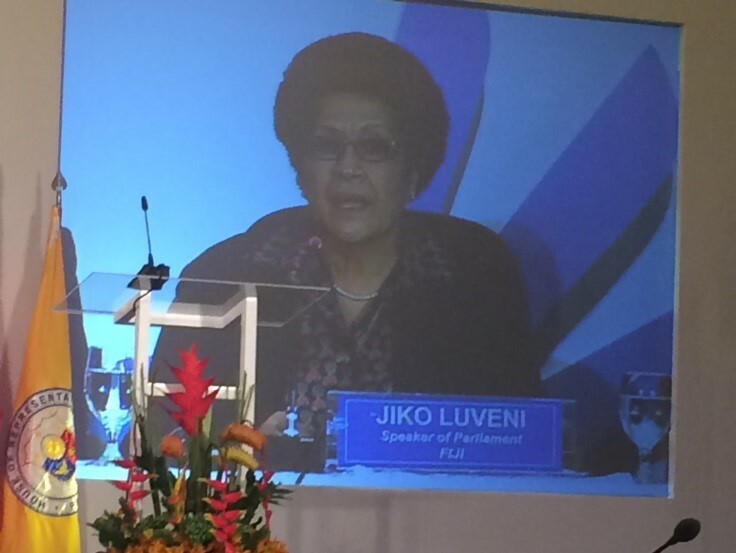 Such are the Fiji/Philippines Bilateral Development Cooperation Agreement, the ratification of the three (3) MOUs between Fiji and the Philippines Coconut Authority, Fiji and IRRI, Fiji and the University of Philippines Las Banos. Also discussed were means in which FET could expand Fiji’s diplomacy and profile in Philippines by way of courtesy visits and calls on Provincial Governors and City Mayors including business community and civil society. Conversation on the economic front encompassed the distribution of Fiji’s tax breaks and tourism information, the proposed Fiji Business and Tourism Seminar tentatively scheduled for January 2015, and the business opportunities that prevail in Fiji as well as in the Philippines. As such business interests in the fields of appliances, food manufacture and power in Fiji were expressed by Mr. Juan Pineda. HC Pineda thus advised that he and his family would visit Fiji in March 2015 to explore business prospects and for vacation, and also take with him few business affiliates who would wish to invest in Fiji. 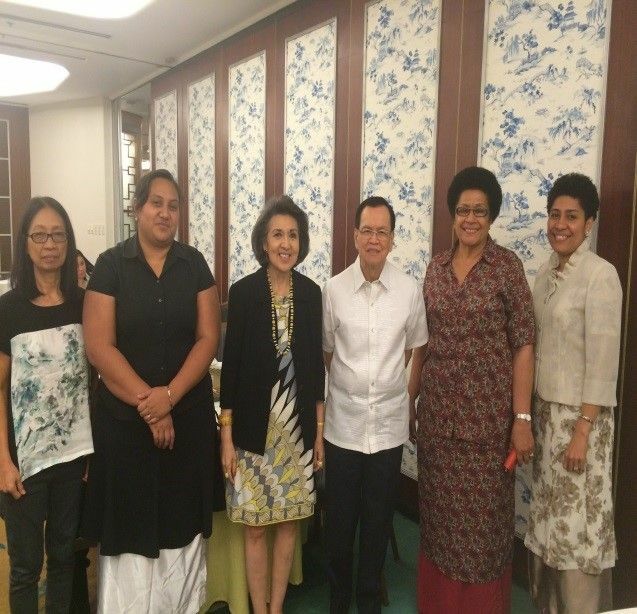 As the designated diplomat for the Fiji-Philippines relations at the Fiji Embassy in Tokyo, Counsellor Julia Korovou visited the Philippines from 20th to 24th October 2014 for a series of meetings and interactions to further boost diplomatic and trade relations between the two countries. 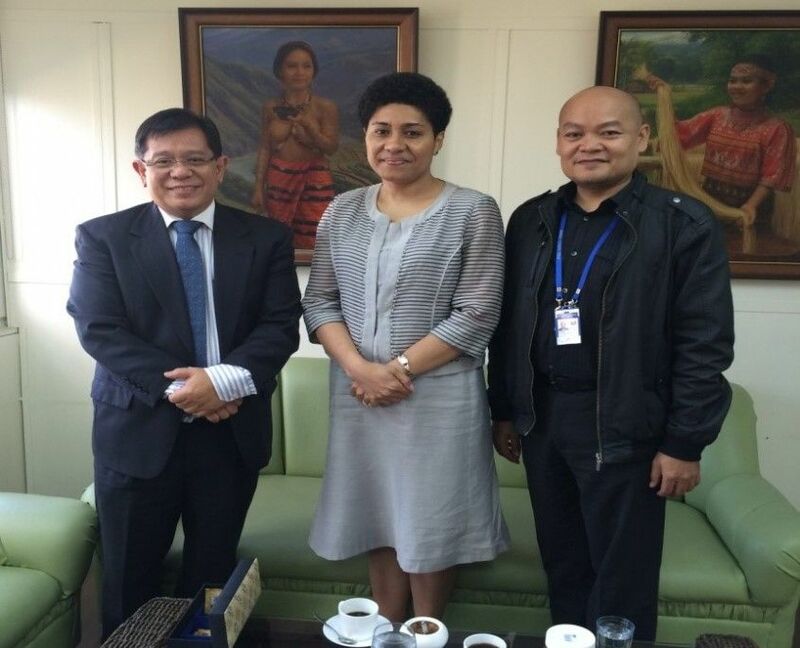 She started off with a meeting with Fiji’s Honorary Consul in Manila Mr. Jesus M. Pineda and his Executive Vice President, Mr. Juan Carlos Pineda which was held on Tuesday, 21st October. This was the first time that Counsellor Korovou ever met with HC Pineda and at the outset thanked him for his generous assistance and cooperation in organizing the programme of the visit as well as the logistic arrangements. Important issues discussed during the encounter covered the Fiji/Philippines Bilateral Development Cooperation Agreement, the signing of the 3 MOUs, Ambassador Mataitoga’s proposed visit and courtesy calls on Provincial Governors and City Mayors and the Seminar on Fiji Business Environment and Tourism tentatively scheduled for January 2015. Counsellor Korovou also took time to give an update on the political situation in Fiji after the elections. In response, HC Pineda advised that he and his family are planning to visit Fiji in March 2015 to explore some business opportunities and at the same time take with him a few business affiliates who may wish to invest in Fiji. 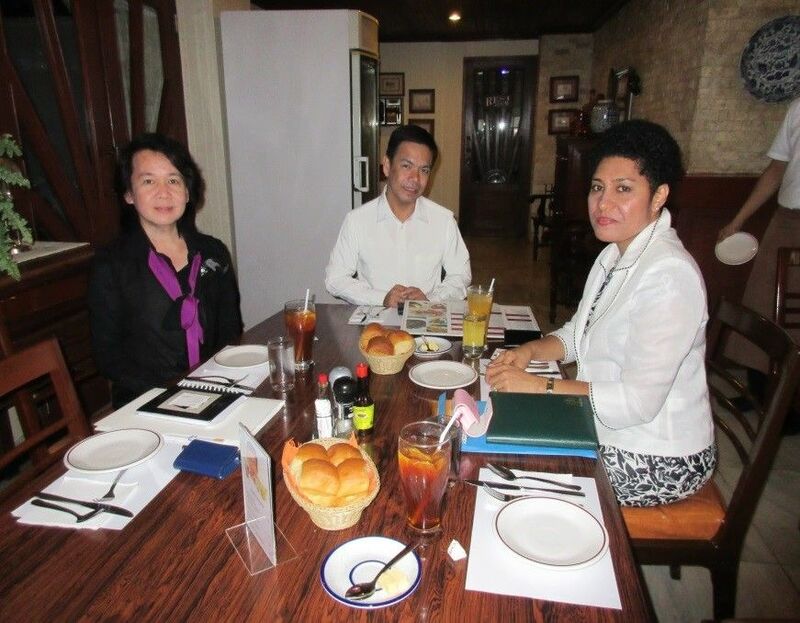 On Wednesday, 22nd October, Counsellor Korovou was able to meet with Ms. Angel Bognot of Afro Asian World Events and Mr. Teody Espallardo of Manila Travel Agent. The purpose of the meeting was to solicit for their support in facilitating the Mission’s request for holding a Fiji Business Seminar in Manila, Philippines in January 2015 to aggressively promote Fiji as a tourist destination to Filipinos. At the outset, Counsellor provided a brief on Fiji’s profile articulating on its population and economic growth, macroeconomic environment as well as the history of the tourism industry in Fiji, Discussion then focused on the seminar preparation covering the programme, participants and the proposed budget. Ms., Bogot also gave a brief account of the tourists industry in the Philippines given the recent increase in outbound travel particularly those in the province due to high remittances from families living abroad. According to her, this proposed seminar is assessed to be huge given the status of Philippines participants and their high expectation of such events. Hence, it was then recommended that theFiji Business Seminar be rescheduled to either the month of April or June in 2015 to give ample space for the preparation. The meeting with Mr. Jason Anasarias, Assistant Director for the Office of Asian and Pacific Affairs was held on Thursday, 23rd October 2014 and the discussion focused of the following issues: The Fiji/Philippine DCA that is yet to be ratified; The three MOUs viz Fiji/PCA, Fiji/IRRI, and Fiji UPLB; Deepening of relations through Ministerial visits; Establishment of Joint Council Bilateral Cooperation [JCBC] or SOMs periodical meetings as follow-up mechanism to Ministerial meetings and further exploring other possible economic; social, cultural and technical cooperation in Agri-business, Food processing/value adding and Total Quality Management. In conclusion, both parties reiterated on the need to fast-track ratification of the DCA as this would be the overarching bilateral guide that would further initiate establishment of subsequent bilateral cooperation of mutual advantage to both countries. The Minister for Agriculture Fisheries and Forests Lt Col Inia Seruiratu began his official visit to the Philippines on Monday, 28 April 2014. 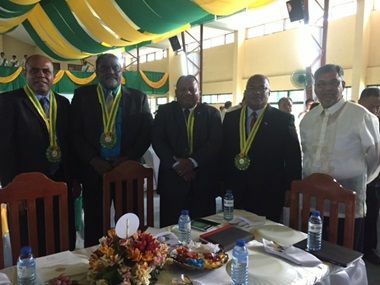 He was accompanied by a team of senior government officials which included the Permanent Secretary for Agriculture, Mr. Ropate Ligairi and the Permanent Secretary for Fisheries and Forests Mr. Inoke Wainiqolo together with Fiji’s Non Resident Ambassador to the Philippines HE Isikeli Mataitoga. 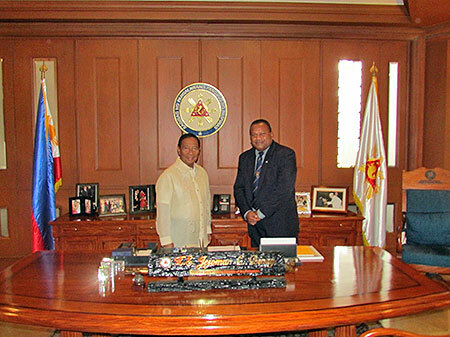 The four day visit allowed Minister Seruiratu to meet His Excellency the Vice President of the Philippines HE Mr Jejomar BINAY and his Ministerial counterpart in the Philippine Government, Secretary Presco ALCALA. In the bilateral ministerial meeting, the two ministers discussed and agreed on cooperation between the Philippines and Fiji in the coconut industry in Fiji, assistance in agriculture will cover development of aqua-farms and rice industries cooperation and how the Philippines has developed special financial products for small and medium enterprises in the primary industry sector. After the meetings in Manila on Monday 28 April and the morning of Tuesday 29 April the Ministerial Team traveled to Laguna City to visit the International Rice Research Institute [IRRI] and the University of the Philippines, Los Banos for the rest of their visit in the Philippines. The issues prioritized by the visiting Fijian Delegation include briefing and detail consultation from the Philippine Coconut Authority [PCA] covering all aspects of coconut commercial farming and the development of commercial products from Coconut. 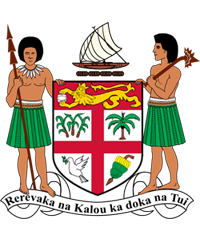 This would assist in the Bainimarama Government’s policies in developing new products from its primary industries for exports, in its effort to widen the benefits of economic growth in Fiji. The delegation also visited the International Rice Research Institute [IRRI], a world leader in rice research and where the Fijian delegation pursued to get experts to undertake and audit gap analysis of the Fijian Rice Industry that would reset the basis of sustained excellent growth in Fiji. In a ceremony held at the Malacanang Palace, Manila today, 10 January 2013, Ambassador Isikeli Mataitoga presented his credentials as Fiji’s Non Resident Ambassador to the Republic of the Philippines to His Excellency Mr. Benigno S. Aquino III, President of the Philippines. 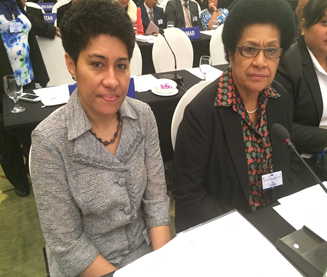 Ambassador Mataitoga was accompanied by his wife Mrs. Venina Mataitoga. In presenting his Letters of Credence to HE President Benigno Aquino III, Ambassador Mataitoga thanked the President, the government and the people of the Philippines for their support and goodwill towards Fiji, as it undergoes its current reform and modernization programs. He also expressed the sincere desire of Fiji to deepen its bilateral relations with the Philippines and further enhance mutual cooperation in the United Nations and other international fora. Ambassador Mataitoga later attended the Vin d’ Honneur hosted by the President for the newly accredited Ambassadors to the Republic of the Philippines. He also held meeting with two business leaders to explore potential areas of trade and investment with Fiji.